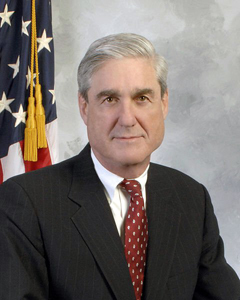 Special Counsel Robert Mueller is reportedly seeking documents that focus on President Donald Trump’s actions in the White House. • Related to Trump’s firings of FBI director James Comey and national security adviser Michael Flynn. • A meeting between Trump and Russian officials–Foreign Minister Sergey Lavrov and then-Ambassador Sergey Kislyak– the day after Comey’s firing in which Trump reportedly said that firing relieved “great pressure” on him. • About the White House formulation of a response to New York Times questions about a Trump Tower meeting between Donald Trump Jr. and a Russian lawyer in which the president’s son was to receive negative information about Hillary Clinton. Ty Cobb, a special counsel for Trump in the Russia probe, told the Times he couldn’t comment on any specific requests or conversations with the special counsel. Cobb has reportedly told Mueller that many of the documents would be provided this week.